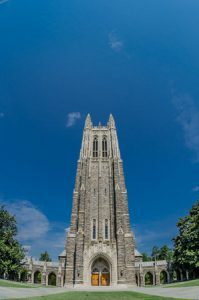 Duke University might be known for its stellar academics and highly-competitive athletic teams, but this semester many students have become more concerned with the troubling growth of mold and mildew in their on-campus housing facilities. In a recent article in Duke’s independent student newspaper The Chronicle, one student outlined many of the health problems that have plagued his peers in recent months. In spite of the student body’s repeated complaints about mold and mildew in Duke’s residence halls, the Office of Housing, Dining and Residence Life has insisted that air-quality tests have come up negative for mold content. In light of the conflicting evidence from students, however, it seems likely that these tests were flawed or incomplete. Now, with their stories in print, the students hope their concerns will be taken more seriously by the university. Cases such as this are important reminders that no building is immune to toxic mold growth. Whether it’s a private residence or a large commercial building, it’s important for property owners to take steps to prevent mold growth and remedy it quickly should it become an issue. Here at Jun’s Mold Remediation, we’re dedicated to helping businesses and homeowners in New Jersey to safely and effectively remove toxic mold from their properties. If you think you might be suffering from toxic mold exposure, contact us today to receive your free estimate.